Anil Vij's comment on Taj Mahal came in the backdrop of Mr Som, BJP legislator from Sardhana, Uttar Pradesh, questioning the monument's place in India's heritage. Chandigarh: Amid the controversy over BJP leader Sangeet Som's remarks on the Taj Mahal, Haryana Minister Anil Vij today described the monument as a "beautiful graveyard". "Taj Mahal ek khoobsurat kabristan hai (Taj Mahal is a beautiful graveyard)," the Minister for health and sports in the BJP government in Haryana tweeted. Mr Vij has courted controversy several times in the past with his remarks. 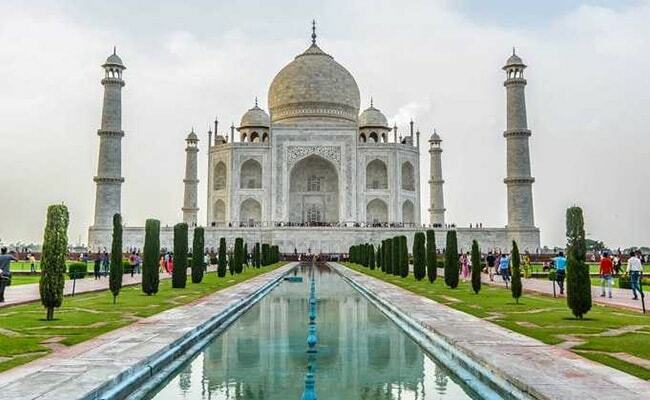 His tweet on Taj Mahal came in the backdrop of Mr Som, BJP legislator from Sardhana, Uttar Pradesh, questioning the monument's place in India's heritage. However, another senior BJP leader Vinay Katiyar had claimed that the Taj Mahal was a Lord Shiva temple called 'Tejo Mahal' which was converted into a mausoleum by Mughal emperor Shah Jahan. The 17th century marble monument was built by Shah Jahan for his wife Mumtaz Mahal. Both were buried there.